If you’re wondering how to get Siri on iPhone 4 while saving time, we’re here to help. The cool personal assistant isn’t available on iPhone 4, but the good thing is you can install it either way. Don’t worry, it’s legal, it’s free, and it definitely works like a charm. 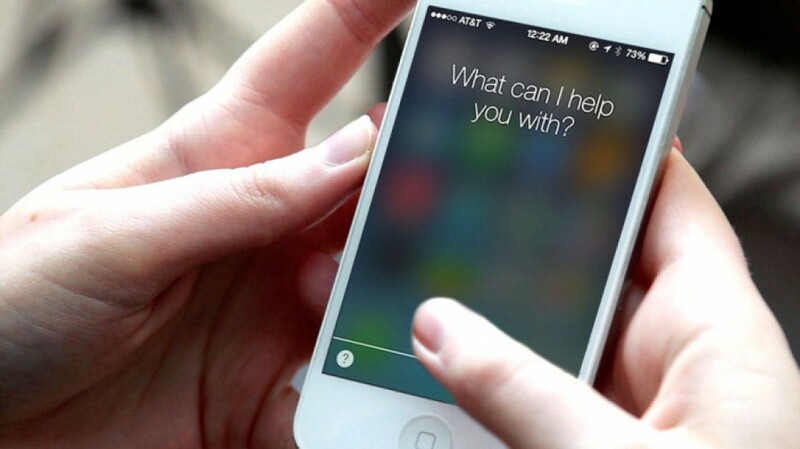 Will Siri Work on iPhone 4? How Can I Use Siri on iPhone 4? Apple’s cool voice-controlled personal assistant is one of the features that makes iPhones so popular. Siri is quite intelligent and helps you get things done. It’s designed to be the friend in need that you can always carry with you. We understand why you must have this service, and we’re here to give solutions on how can you use Siri on iPhone 4. First thing first: jailbreak your phone. Once you do that, it’s time to go to Cydia and add this repo: http://repo.siriport.ru. Then search for “SiriPort.ru (Original-iOS 7 +)” and install it. Next, reboot your iPhone 4, open up “Settings” and tap on “SiriPort.ru (Original-iOS 7 +)”. Install the certificates and reboot your phone once more. Now go to “Settings” > ‘’General” > “Siri”. If all went well, you now should be able to launch your virtual personal assistant successfully. If it doesn’t work, we have other suggestions on how to get Siri on iPhone 4. Jailbreak your phone before getting started. Head over to Cydia and go to “Manage” > “Sources” > “Edit” > “Add”. You will have to add the following source http://cydia.bassamkassem.com. Once you’ve added it, open it by tapping on the BassamKassem repo. Look for “Ac!d Siri for iOS X” (X being the version of iOS you are using). Install that and be patient. The package is around 90MB so you will have to wait a bit. After successfully installing it, you will have to reboot your iPhone. Just a few more steps to go. After rebooting your phone, you need to add another repo. Open Cydia and go to “Manage” > “Sources” > “Edit” > “Add” just as before. Install WordJelly > http://wordjelly.com/repo. Tap on “Add Source”. Open the repo source and search for “iOS 6 WordJelly Control Panel”. Install and reboot your iPhone yet again. You’re done. Start using Siri by heading over to “Settings” > “General” > “Siri” and enabling the service. Then, go to “Settings” and look for “Ac!d Settings”. Open it and enable your virtual assistant. As before, you will have to jailbreak your phone first. Once you do this, install Cydia and search for Spire. Spire will download the files needed to install Siri on your iPhone 4, as well as 3GS or 4th-gen iPod Touch. Now that you’ve installed it, go to your iOS “Settings” app. Go to “General” and you should see the new Siri option. Tap the app and slide the toggle to enable your virtual personal assistant. Now return to the “Settings” menu and look for Spire once more. As a Proxy Host, enter the following URL: https://connect.grwh.net:1001. Using Safari, go to http://i4siriserver.com/installcertificate.html and click “Install”. Now press the “Home” button to launch Siri. You will first have to sync with iTunes and backup your smartphone. Save “SHSH Blobs” via TinyUmbrella. Now put your iPhone in DFU Mode and jailbreak with the available tools. Head over to JailbreakModo.com to find the one suitable for your device depending on iOS version. Cydia should now be installed on your device. Add “Repositories” on Cydia and download jailbreak apps. Install Ultrasn0w Unlock. Jailbreaking is essential to getting Siri, the virtual voice-controlled assistant. But if you don’t want to get into all this trouble just to have the app working, we have another suggestion. We know you’re here for Apple’s Siri, but it’s not the only app that uses voice control. Why not install apps that mimic the same functionality? Get yourself a third-party app that would most likely do the things you want Siri to do. One of the most popular is Nuance’s Dragon Go!. The company that developed Dragon Go! is the same that provided Siri with the voice recognition software. Because of this, you can be sure that you will get the same functionality if choosing this app. It also interfaces with services such as Google, Spotify, Netflix, Pandora, Yelp, and any more. Dragon Go! allows you to compose texts and messages using your voice with the help of Dragon Diction. The app understands almost anything, and it will give you access to Mobile Web destinations ranging from shopping to streaming media. The app is available for iPhone 3GS, iPhone 4, and 3rd and 4th-generation iPod Touch. All you need is a network connectivity, and you’re set to get things started. If you learned how to install Siri on iOs 7, tell us what worked for you and even give out tips on how to get Siri on iPhone 4 yourself. Share your Siri experience with us; we would love to hear from you.